We thrive when working with clients who operate with purpose. RIP-IT, an Orlando fastpitch brand, does just that. 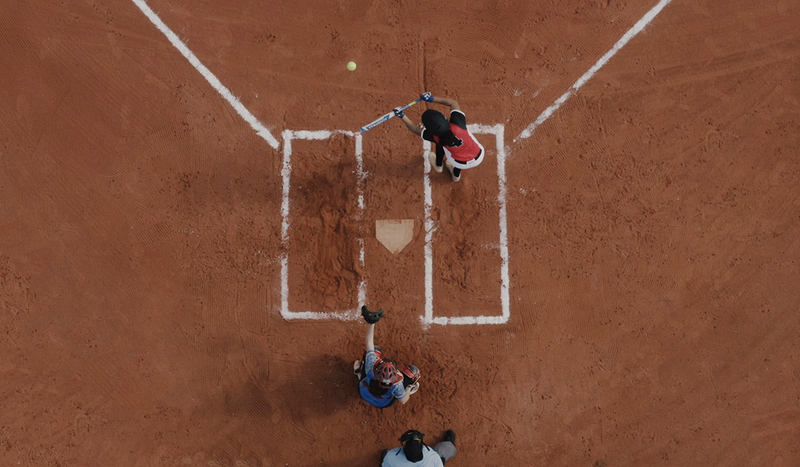 Through intensive market research and an empathy-driven approach, RIP-IT discovered a massively underrepresented market, fastpitch softball. RIP-IT set out to change that. 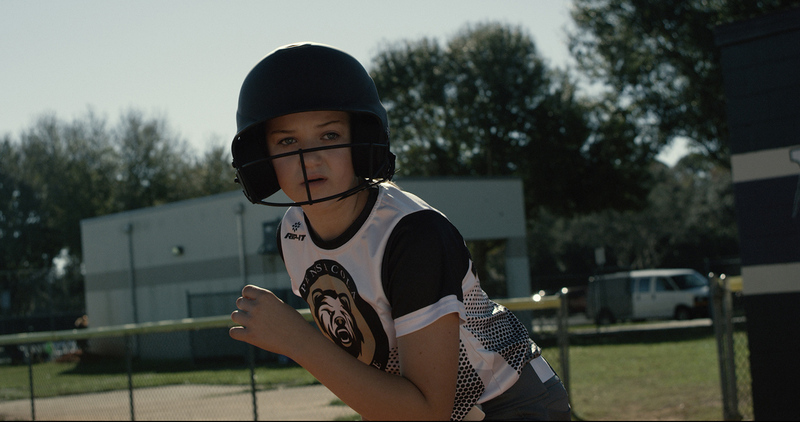 By designing, developing and manufacturing fastpitch protective gear and apparel outside the status quo of “pink it and shrink it,” RIP-IT stands at the forefront of an empowerment movement far beyond the sport of fastpitch. 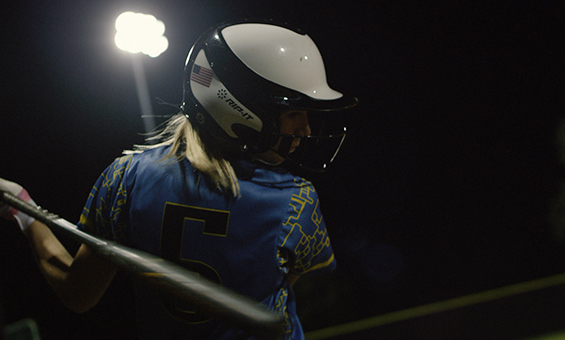 Spry was commissioned as the content partner charged with creating a series of eight product videos to function as informative and engaging ambassadors for the brand’s message: fastpitch-inspired. Our goal, tell the story of each product in a way that felt authentic to the brand and true to the mission. 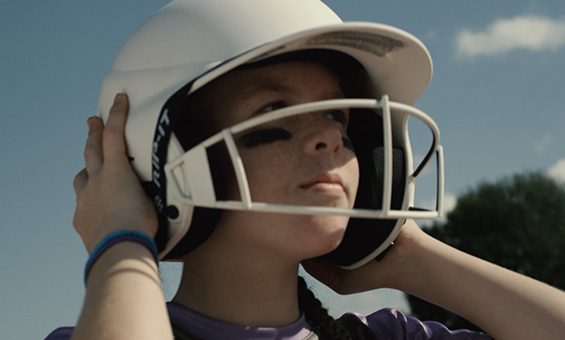 Stories portraying these hard-charging athletes as both beauties and beasts. How do you create a series of product videos that don’t feel dry and monotonous? Our solution – place the products in their element to tell the story from start to finish. Every RIP-IT product is developed from the clay up. Their R&D team works closely with the fastpitch community to create and optimize gear made by the player, for the player. This grassroots approach set in motion an idea that ultimately elevated the client request from simple product videos to a collection of emotionally-driven Product Stories. 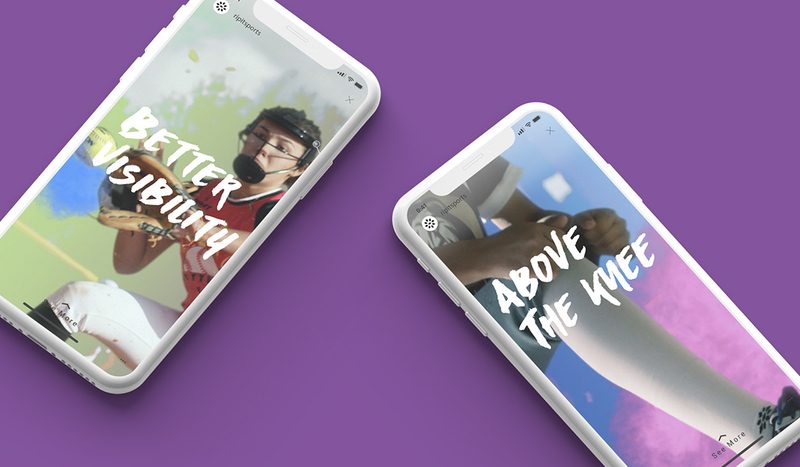 Departing from the rigid, fact-driven expectations of what a product video should be, we set out to rewrite the playbook. Being that each product was born from a very real need, we dove in to get the real story behind the development. This led us to further defining the stories to include all of the elements that support each product. Gameplay is obvious but what was the inspiration? How does that fit into the product education and sales process? We quickly landed on a concept focused on the empowerment of the player while staying away from the god complex so often associated with high-end athletic brands. Our goal was to lift the player to the center of the screen and allow her personality to be the driving force of the story. Building on this framework, each piece was written to strategically encompass all aspects of RIP-IT’s marketing strategy quickly and effectively. We packed each deliverable with core messaging that identified three main product features, represented all segments of the target audience and expanded on the product language to cohesively define the product to the viewer. This not only assisted in streamlining the message of each piece but also worked to maximize budget and time during production. The mission was two-fold: speak to both the direct and third-party consumer while at the same time training outside sales teams on the core features and brand vision of RIP-IT as a whole. This clearly defined goal helped inspire and mold the way in which we wrote each piece. This philosophy lead us to an organic approach centered around a fastpitch tournament weekend. From this, we scripted naturally occuring scenarios which helped create structure during production while still allowing events to unfold as they normally would. Using the scripts as a foundation rather than a set-in-stone path, the players (and parents) were able to get real. Thus adding a level of authenticity that would’ve been impossible to achieve from an outsider’s perspective. RIP-IT developed personas to help guide communication tactics towards an eye-level approach. 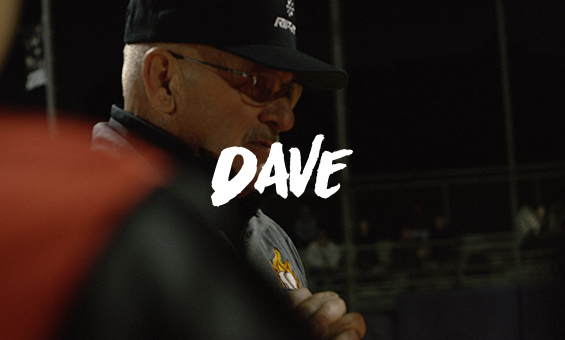 Dave and Jennifer are the personifications of the softball coach and softball mom. In a sense, we aimed to speak to the audience from within, not as an outsider. 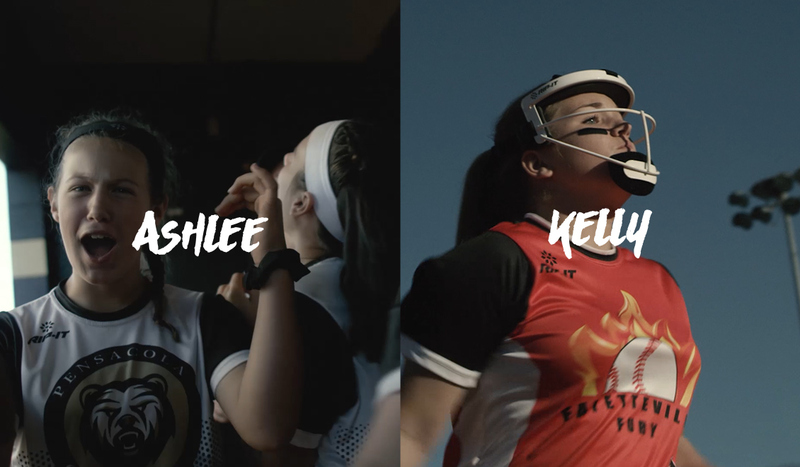 At the core of it all are the players, defined through the RIP-IT user personas of Ashlee (age 12) and Kelly (age 16). Learning to see from their perspective allowed us to speak to the buying power of Dave (coach) and Jennifer (mom) while still engaging the end user, Ashlee and Kelly. 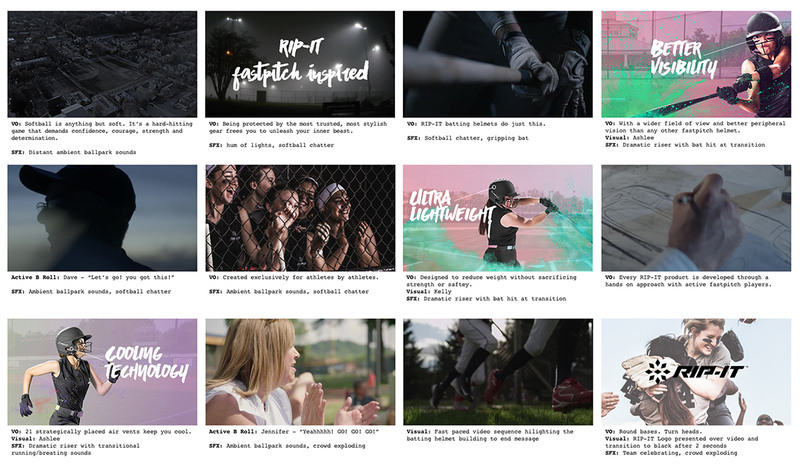 The initial RIP-IT brand rollout consisted of static imagery that paired brightly colored powder explosions with the actions of a fastpitch beast. We wanted to bring this to life. We visually incorporated these explosions and full-screen takeovers as a way to emphasize the features of each product. From scratch, we created and captured a custom powder library to be implemented in a variety of use cases throughout the project. We then composited multi-layer video and motion graphics – giving a handcrafted feel to each piece. With every project, our goal is extend the shelf-life of the assets we create. In doing this, we help our clients get the most out of their production dollars. In this case, we produced a complete library of additional assets to be used in digital marketing and social media initiatives. 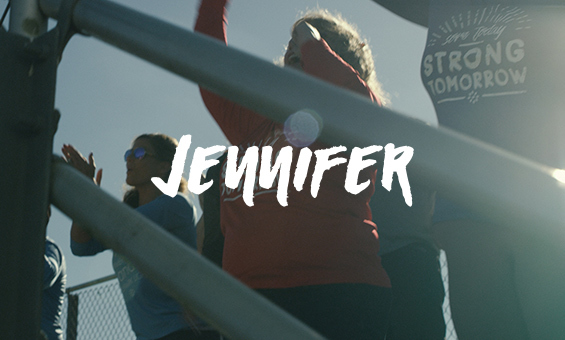 In total, we delivered eight individual, long-form Product Stories, eight short-form cut downs and a complete asset library all while setting the foundation for the brand film still to come. These pieces have launched the first wave of content for RIP-IT and its third-party retailers nationwide.